Ted Baker has launched the Finisterre, the clothing company's latest addition to its audio wares line-up. 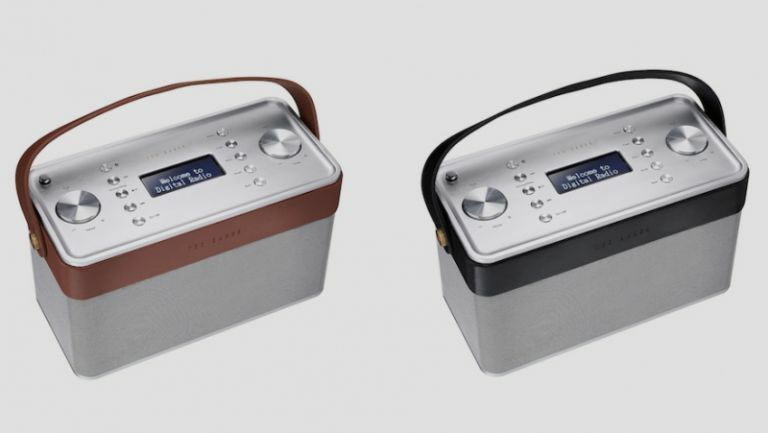 The British clothing company's new kit doubles up as a Bluetooth speaker and DAB/FM radio, and promises 'hi-fidelity sound quality'. The Finisterre is a decidedly swanky affair, offeruping up brushed aluminium, genuine black or tan leather, and a classic radio design. Inside you'll find a three-way speaker system that the firm touts as offering up 'warm acoustic sound'. "Influenced by confident, honest qualities of 20th Century British design, Ted Baker Audio unites aesthetic, electronic, and acoustic design and, while the collection may be infuenced by such classics, it's not stuck in the past," says Ted Baker, talking up its audio line-up. "Ted's combined his eye for detil with the best ears in the business to fashion a rich, natural sound reminscent of good old vinyl that will transport you to another place wherever you are in the world." You can connect to the Finisterre via Bluetooth, which means you'll be able to fling over your most bangin' tunes from your smartphone or tablet. There's also a 3.5mm audio jack for the wireless-fearing amongst you. Bonus features include a clock, an alarm with snooze functionality, a sleep mode, and a USB port for firmware updates. The Finisterre retails for £199.99, and is available from today via the Ted Baker website.